Sail on one of our luxury boats with a skipper before you settle down alone for a romantic night on-board 'Lasal' or 'Gem'. With the exclusive use of the yacht moored securely for the night in beautiful Hardy's Bay. You will enjoy a cold fresh seafood platter for two (or an alternative if seafood isn't for you) while watching the sunset over the Brisbane Water National Park. And don't forget your complimentary breakfast before or after your morning swim. Located just 1.5 hours north of Sydney, you and your special someone will begin a unique on water accommodation delight. 360 degree absolute water views. Both boats have three double cabins, fully equipped galley, CD player / Ipod dock and bathroom/ensuites with hot / cold shower. Take the helm or sit back and relax as your skipper sails you out past spectacular Lobster Beach and Iron Ladder. You will see Lion Island and Pittwater and down into the Hawkesbury River. 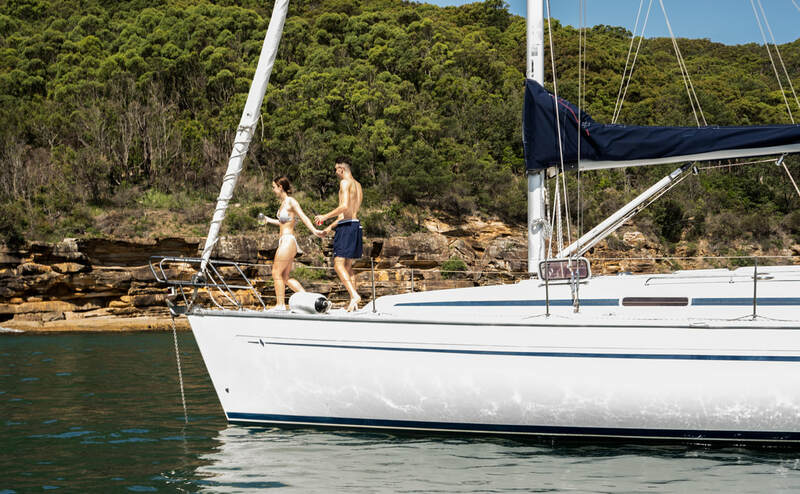 After a couple of hours of sailing, your skipper will bring you back into Hardy's Bay to be safely moored for the night and in time to enjoy an afternoon swim. Your skipper will then step you through the workings of the yacht and leave you to enjoy your choice of dinner, the ambiance of Hardy's Bay and maybe a gorgeous sunset whilst enjoying each others company alone under the stars. If you or your loved one are romantics, nothing can be more memorable. The next morning after your breakfast and morning swim your skipper will collect you and return you back to the jetty. One of the most romantic nights you could ever share with someone. Weekend availability is limited and tends to book out quickly in the warmer months. If midweek is an option call us for our special midweek offers.